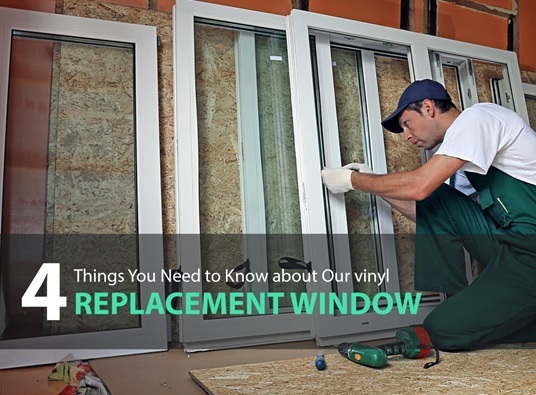 When choosing a window replacement, many homeowners go for vinyl. This is because of the material’s beauty, functionality, and performance. To maximize your vinyl window investment, go for a custom work. 1. Heat-welded vinyl windows are more durable. A vinyl window replacement should have its frame and sash corners fusion-welded for a weathertight construction. Windows with mitered corners screwed together or chemically welded are bound to decline over time. Here, our Alside Windows are constructed with premium vinyl extrusions for long lasting beauty and performance. 2. Vinyl replacement windows are easy to maintain. Keep in mind that vinyl is the kind of material that’s easy to clean and maintain. With vinyl replacement windows, you can say goodbye to scraping, painting, and refinishing. They suit homeowners with busy lifestyles. You can simply use a damp cloth to wipe the vinyl surface of your windows and you’re set. 3. Quality glass increases the energy efficiency of a vinyl window. Another important element of our vinyl window replacement is the glass package. Our vinyl windows have double-strength glass that is 3 mm thick. We also offer ClimaTech® insulated glass, which combines the Intercept® Warm-Edge spacer System with Low-E and argon gas. These make our windows more energy-efficient. 4. You need a window expert to install your vinyl window. Any window project requires the skill and experience of a professional. Never attempt to do it on your own. Industry experts, such as Kroll Construction, know the ins and outs of window replacement. We offer excellent service, energy savings, competitive warranties, and more. When looking for wood window replacement in Detroit, MI, choose vinyl windows to make the most of your home improvement project. Kroll Construction installs high performing vinyl replacement windows that offer multiple benefits. Additionally, you can save on utility and maintenance costs with our vinyl windows while enjoying a beautiful home. If you need help with your vinyl window replacement, do let us know. You can reach us at (888) 338-6340 today to learn more about our products and services.